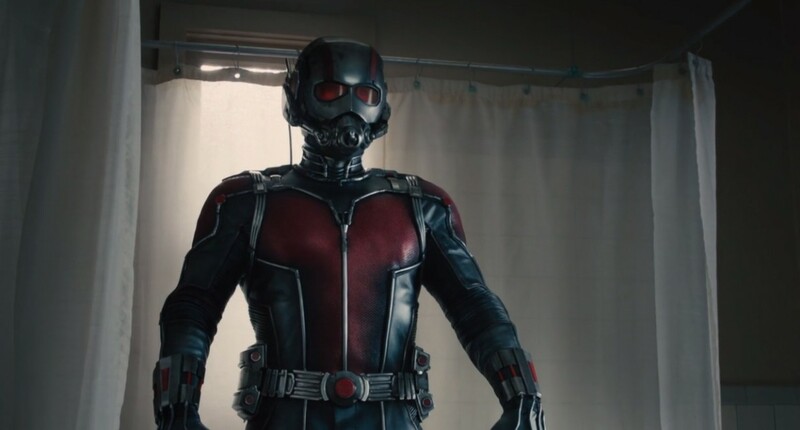 The official end of Phase Two is upon us with the release of Ant-Man, a film I became instantly skeptical of the moment when it was announced that the brilliant Edgar Wright would no longer be in charge of bringing the very small character to life on the very big screen. Not only was the loss of Wright a hard pill to swallow, but his replacement Peyton Reed....? Who? The guy who directed Yes Man and The Break-Up? The transition from such a unique and interesting cinematic mind in Wright to such a bland choice was impossible to understand. Essentially my expectations went from, this could be the best film from the MCU thus far to I just hope it's fun, and good news, they were not only met but slightly exceeded. 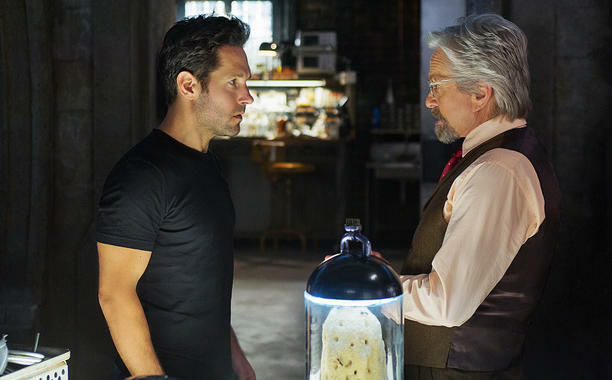 Ant-Man is a ton of fun mostly thanks to a very clever script written by Edgar Wright (he still gets credit, not sure how much of his work was actually used), Joe Cornish, Adam McKay and Paul Rudd. At times the writing suffered from the superhero origin story blues, which is to be expected as the generic and far too familiar nature of these films seems almost mandatory, but when things attempted to go more unique and outside the box I really enjoyed what they had to offer. What I always have trouble remembering and I need to remind myself is that the Marvel machine will usually make things work regardless of director and I need to stop second guessing them. I did it last year with Captain America: The Winter Soldier as they chose a couple of no name sitcom directors in Joe and Anthony Russo. I rolled my eyes and assumed it would be a silly, poorly made film, and it ended up being absolutely outstanding. I did it again later that same year with Guardians of the Galaxy, not because I wasn't a fan of James Gunn but because he was an unknown and strange choice to me, a name associated with Troma, not big budget filmmaking. What resulted was the only film from the MCU that I have given a perfect score to to this day. So does this mean I am here to toss bouquets of roses at the feet of Peyton Reed for his brilliant handling of Ant-Man? No, not really, but I am far more impressed than I expected to be. This isn't a Winter Soldier or Guardians of the Galaxy situation where I exited the theater feeling floored by the quality, but Ant-Man is a rock solid superhero origin story that thanks to a very charming and humorous lead performance from Paul Rudd managed to stay afloat even when things did get a little safe and unspectacular. A film filled with fun and laughs and one that demands you stay until the very end (literally the end, watch out for the two post credit scenes cause they matter), it's hard to not walk out of the cinema eagerly anticipating Captain America: Civil War due out next May. 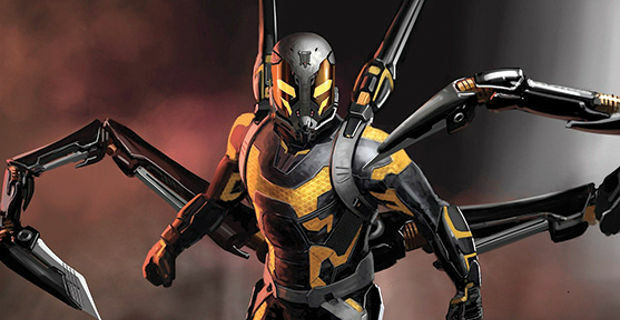 Adding the personality of Paul Rudd into the mix of those huge and heroic personalities can only be a good thing. I've been waiting for Ant-man to come out and join the Avengers since Iron Man was first released. While I think it suffered what every Marvel films suffers from (and at this late in the game I'll guess will suffer from too) I really enjoyed it....even if it's Iron Man with antz.